Either via pre-order or when you arrive, you’ll pay for an auction paddle – this amount goes to the PTSA. You may purchase additional paddles; doing so will increase your chances of winning items. Each person attending the event must have a paddle due to the limited seating. You’ll select your auction number from the available numbered ping pong balls and be given the corresponding paddle. You’ll use your paddle(s) to bid on the items that are being auctioned. You will also receive a list of all the items being auctioned off and in what order they will be auctioned. Before the quarter auction actually starts, you’ll have a chance to walk around the room. You’ll be able to find out more about the auction items, see the raffle baskets and see/bid on the Silent Auction items. There will be food, beverages, raffles and silent auctions available during this time. There will be tables and chairs in the center of the room. Once you’ve walked around the room and seen what’s on offer, take a seat before the auction starts. If you were given a list of the items being auctioned when you entered, it’s worth taking this opportunity to make a note on there of which products you definitely want to bid on. The table may also contain a guide explaining the quarter auction rules. When the auction starts, the MC will go over the rules for the auction to ensure that everyone is clear about how it works. The MC will then let you know how much it costs to bid on the item; it will be 1 to 4 quarters depending on how much an item is worth. For example, if you’re bidding on a manicure that would normally be worth $25, the bid might be set at a quarter. If a bed and breakfast has provided a weekend stay that would normally be worth $200+, the bid might be set at $1. There will be a pot in the middle of the table, so put your quarter(s) in there only if you wish to bid and raise your numbered paddle. Volunteers will come round and collect the quarters from each table. You must put quarters in for each paddle you want to bid with. More about this below. The MC will then draw a number out of a bowl at random. If that number matches the number on the paddle of someone who has bid on the item, they win it. However, if the person that number belongs to didn’t bid on it, another number is drawn. This is done until there’s a winner. All of the numbers, which have been drawn for an item, are then put back in the bowl by the MC – this means that you have an opportunity to win more than one item during the event. This process continues throughout the auction until all of the items have been won. As we mentioned above in the ‘Entrance’ section, you might have been given the opportunity to purchase more than one paddle. If so, this means that you can bid on an item more than once, which is perfect if there’s an item you really want to win as it increases your chance of winning. To do this, you bid however many quarters an item is being auctioned for, multiplied by how many paddles you want to raise. For example, if the bid on an item is a quarter and you only want to bid for it once, you simply put 25 cents in the pot. If you want to bid for it twice, you would drop 50 cents in the pot; to bid three times, you’d drop in 75 cents, etc. One important thing to remember though – only the numbers on the paddles you hold up are eligible for that item. If you bought three paddles as you entered and subsequently used two of them to bid on an item, if the number called out is for your third paddle then you wouldn’t win and the MC would draw another number. Make sure you collect any items you won if they’re not handed out during the auction itself. 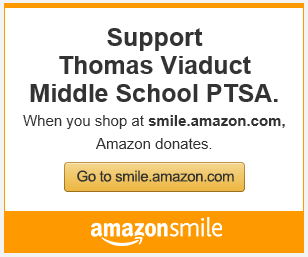 If you have any quarters left over, consider donating them to the PTSA.